A search for two suspects got underway overnight after an armed home invasion in Antioch. 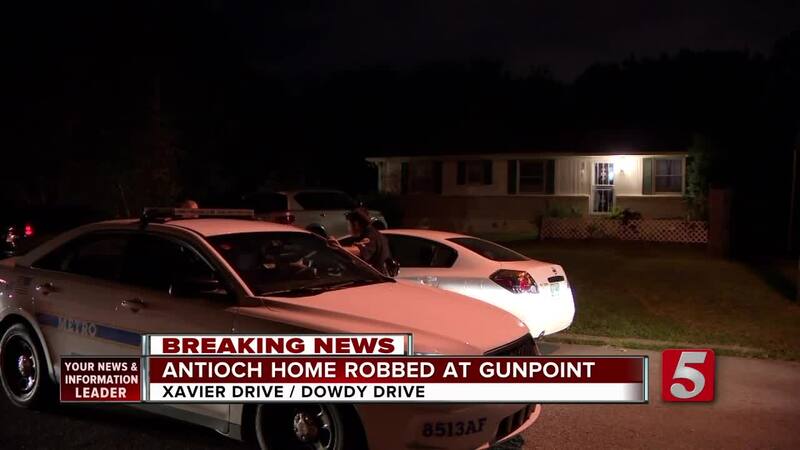 The incident happened at about 1:45 a.m. Thursday on Xavier Drive in Antioch. Officials with Metro Nashville Police said two gunmen approached a man and woman who were standing on the porch of a home, held them at gunpoint, and forced them into the home. They held the man at gunpoint and demanded his wallet. The woman ran inside and one of the suspects followed her. He threatened two other adults and took a backpack, purse, and several phones. Both suspects fled on foot. Officers said the gunmen stole valuable items like purses and wallets. There was added concern because there were two children in the home at the time of the home invasion. Officers brought K9s to the neighborhood to try to find the suspects. They were described as black men; one is tall and thin with a mustache. Anyone with information about the robbery is asked to contact Crime Stoppers at 615-742-7463. Callers to Crime Stoppers can remain anonymous and qualify for a cash reward.